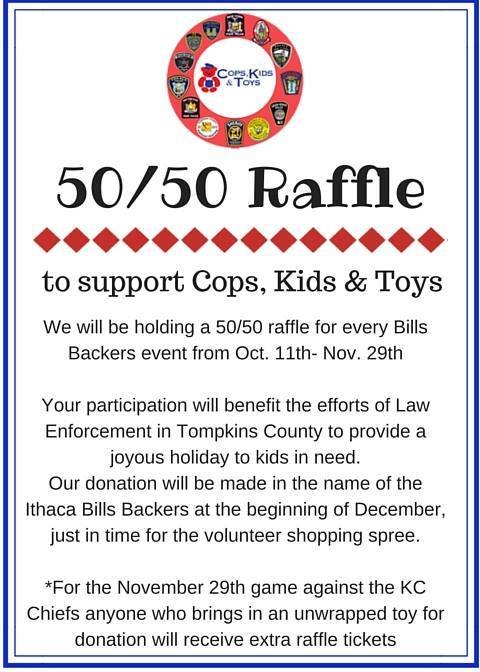 Welcome to Ithaca Bills Backers! Welcome to the Ithaca Chapter of The Bills Backers. Flynn's Roadhouse Cafe located just outside Ithaca at 1928 E. Shore Drive in Lansing, New York, is gracious enough to allow the Backers to gather every Sunday to watch the games. The game will be shown on all the TV's in the bar. Flynn's Roadhouse Cafe will have a full menu to order from including appetizers, wings, pizza and more! See the menu page for more details. The bar will offer draft beer specials but also has a large selection of bottled beer available. We plan to have giveaways and raffles during the games so stay tuned for some really cool prizes!